If you’ve been following this blog you might have noticed that it has been very neglected over the past 12 months with only a few post over the last year compared to dozens a week we had back in 2008 – 2011. Well this WordPress blog is now being officially retired and replaced with a much easier to manage system. Our new info site works as a hub for all our social networks as well as Anime Focus. It’s been a great experience running this blog and I hope you will continue to follow us on the site. It’s no mystery that Bandai products are hard to get hold of from UK retailers, I’m not really on about the capsule toys or trading figures but the high quality fixed pose figures and action figure. That’s why we are very happy to announce that from now on we will be stocking the vast majority of new releases from the Figuarts Zero, SH Figuarts, D-Arts, Chogokin, Saint Cloth Myth, Ultra Act and Robot Spirits ranges of figures. While we cannot guarantee stocking every shingle product in these ranges (after all who wants to but a space rocket for several hundred quid) but we will be stocking a lot more than we have been and we will be getting them faster than we used to. Brother to Monkey D. Luffy and second division commander of the Whitebeard Pirates, Portgas D. Ace is faithfully recreated here in battle pose. 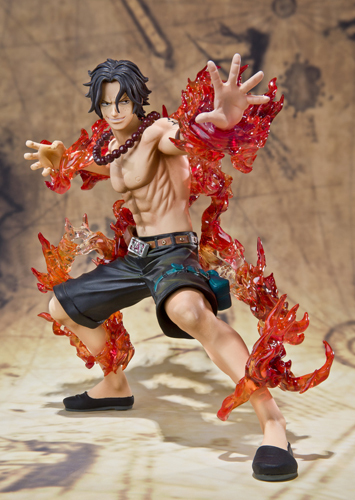 Portgas D. Ace can control flames like no other, and he’s one heck of a powerful fighter, too! Directly out of the hit One Piece series! 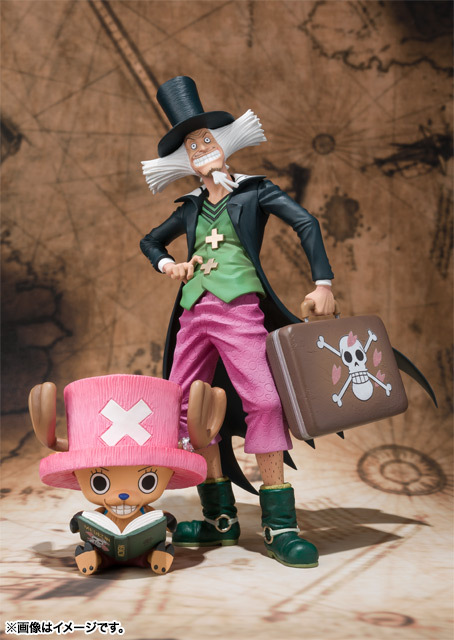 The humorous and heartwarming pair, master (quack) doctor Hiluluk and his surrogate son/apprentice (the human-reindeer hybrid Tony Tony Chopper) join the Figuarts Zero line-up of highly-detailed action figures. In addition to their very animated facial expressions, every detail of this dynamic duo, such as Dr. Hiluluk’s medical bag and Chopper’s medical book, has been meticulously sculpted. Special display stand also included in set. The powerful servant from the Fate/Zero manga joins the Chogokin line-up! This Fate/Zero Archer Chogokin Action Figure comes complete with armor die-cast parts, advanced articulation, meticulous detail, and a full-array of accessory parts. Gold armor areas are recreated with die-cast metal for added weight and realism. Deluxe figure set features a full-array of accessory parts such as “wine of kings” artifacts, Ea: Sword of Rupture, 2 interchangeable face parts, interchangeable hand parts (3 left/4 right), interchangeable folded arm parts, and special display stand with magic glyph symbol sheet. 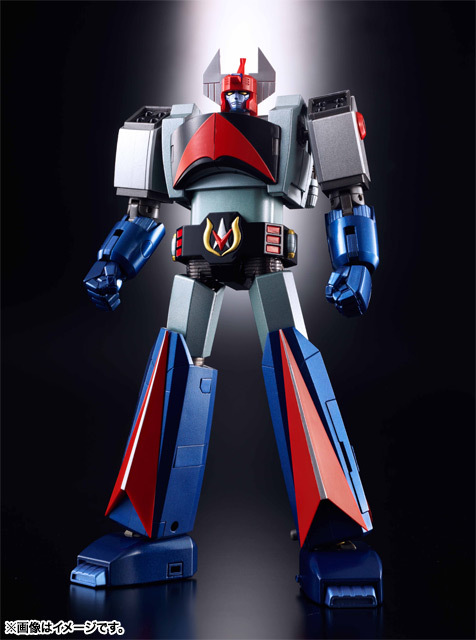 At last, the long awaited Soul of Chogokin release of Danguard Ace from the 1977 anime classic Planet Robot Danguard Ace is confirmed! An homage to the giant robot that stands among the classics, this Soul of Chogokin release employs state-of-the-art die-cast robot action figure technology to portray Danguard Ace in exquisite detail. The Planet Robot Danguard Ace Soul of Chogokin Action Figure features transformation capability without compromising faithful proportion. A full array of accessories and gimmicks allow for recreation of various anime action sequences, including the capability to transform into Satelizer Mode along with accessories for Cosmo Arrows with transformation capability to Double Shaft weapon. Also included in the set are Sky Arrow with single and double cockpit options, as well as 2 types of Guard Launchers (transformable and non-transformable) that can both be attached / detached to engine unit. The wealth of accessories included in this deluxe set can be displayed and housed in a deluxe display stand. Gundam Double X, the main mobile suit in the second half of the After War Gundam X series, joins the ranks of the Robot Spirits series with a massive Twin Satellite Cannon and a full array of accessories! 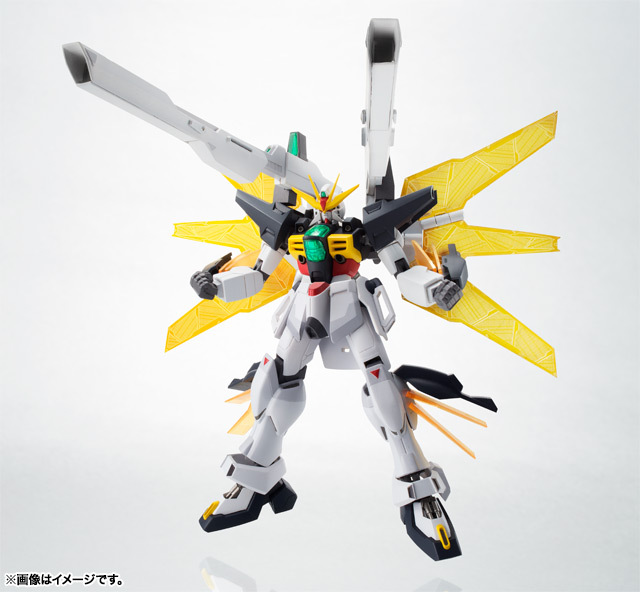 Boasting advance articulation, high-detail, and stunning proportion, this deluxe Gundam X Gundam Double X Robot Spirits Action Figure set includes interchangeable Twin Satellite Cannon parts for firing mode, as well as accessory parts for 2 Hyper Beam Swords, Buster Rifle, and Defense Palette. Radiator Palette recreated with clear parts. 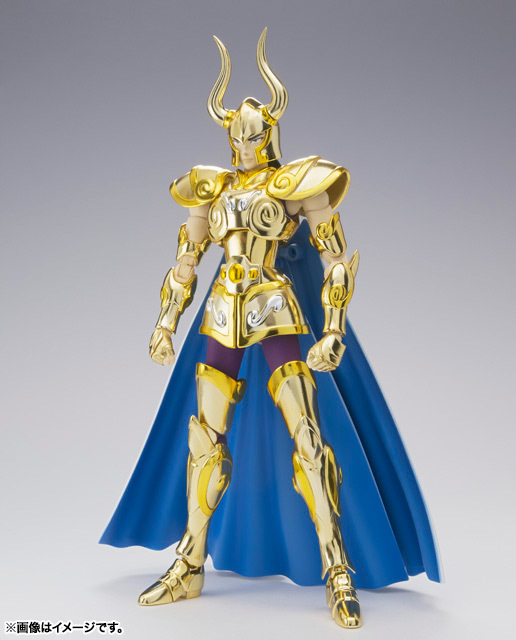 The popular Saint Cloth Myth EX gold saint line-up continues with Capricorn Shura! The Saint Seiya Capricorn Shura Saint Cloth Myth EX Deluxe Action Figure set includes a thorough array of accessory parts, including 2 mask parts not included in the anime and only featured in original manga! Object can be assembled from cloth parts, and both cloth and object can be displayed together. 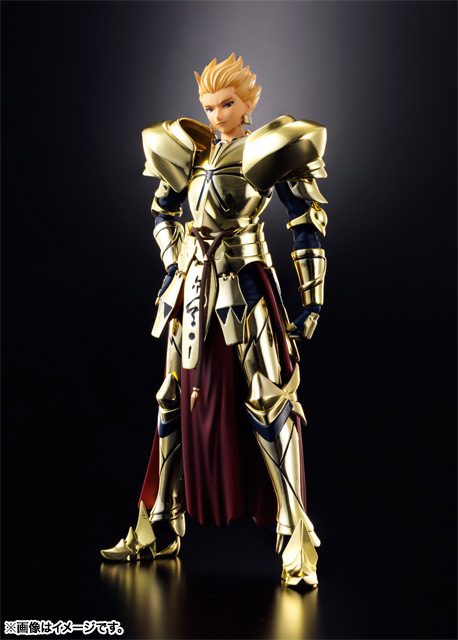 Superior articulation enables recreation of the character’s ultimate Excalibur attack. 3 sets of interchangeable face parts, 4 sets of interchangeable hand parts and cape accessory are also included in set. Fans of Saint Seiya will not want to miss out on this! The powerful time and space manipulating Kamen Rider Odin from the series Kamen Rider: Dragon Knight (also known as Masked Rider Ryuki), and his mirror monster Gold Phoenix join the advanced SH Figuarts action figure line-up as a deluxe set! The Masked Rider Odin and Gold Phoenix SH Figuarts Action Figure contains the Gold Phoenix, which comes with a special Tamashii Stage figure stand and can be transformed to golden wings and attached to the back of Kamen Rider Odin. Belt buckle is replicated in intricate detail and accessories for Gold Saber, Gold Shield, and Gold Visor; as well as multiple advent cards. Yee! The persistent Shocker henchman joins the SH Figuarts series! This Masked Rider Shocker Combatman SH Figuarts Action Figure is absolutely awesome. Featuring iconic weapon accessories and interchangeable hand parts, the Shocker Combatman Action Figure is great for recreating combat scenes with all of your favorite Kamen Rider action figures (sold separately) and is seen here in his characteristic “Yee!” pose. The modified Junis Blue form of Nexus Junis worn under the mantle of Dunamist Ren Senjyu joins the Ultra-Act series! 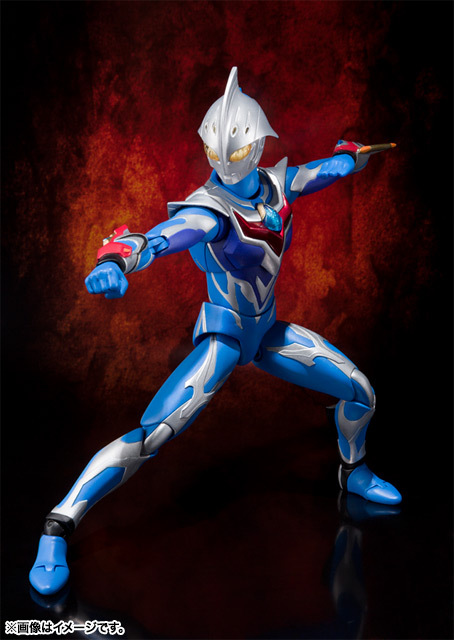 Featuring sleek proportion, dynamic articulation and with a full-array of accessory and effect parts, the Ultraman Nexus Junis Blue Ultra-Act Action Figure is a must-have figure for fans of the popular Ultraman series. Action figure includes effect parts for Storm Sword, Over Arrow Ray-Storm, and Cross-Ray Storm. Interchangeable core parts (red) and 2 sets of left/right hand parts are also included! It’s the end of another amazing year at Eye on Asia, it’s hard to believe we’ve been going for five and a half years now! To round off the year we going to show off what have been some of the top products we have had over the past 12 months, there are a couple of surprises in there. What do you think of the 2012 selection? Do you own any of them and what have been you favourite figures of 2012? You can now get 5% off all orders (excluding shipping costs) at Eye on Asia until the end of 27th January 2013. All you have to do is used code: 5OFFJAN13 at basket, this offer includes all in stock, pre-order and sale items and also works in conjunction with other promotions meaning first time customers can get up to 10% off their first order. It’s the ideal time to treat yourself to the anime goodies you have been wanting! Head on over now. We have big plans for 2013! After our massive site update this year work has already started to expand the range of types of products we sell. Of course we will continue to do all the things we have been doing but we will expanding our range of clothing and accessories, a department that has been feeling rejected recently, by this we don’t mean we will be selling those naff unlicensed cosplay outfits that some other places sell instead we will be stocking high quality clothing, the kind you can safely wear in public. Also from today we will be starting to list new release and pre-order dvd’s and Blu-rays. Because we fully support the UK anime industry we will not be stocking unclassified region 1 dvd’s and all of them will be official UK releases from all the top distributors. Of course there are a lot of dvd’s out there and to list them all on our site would be very ambitious to say the least so we will be starting off with next years releases and expanding our back catalogue from there. You might think that our dvd prices will be high but rest assured that they are very competitive with the likes of Amazon and other big names just take a look at our most recently listed MVM titles. There are other plans for next year including the introduction of a savings scheme that is very handy if you want to save a bit of cash up every now and again but we will go into details about these things another time. In the meantime all of us at Eye on Asia would like to thank all our customers and any one else who has helped us this year and we look forward to serving you many more times in the future. Tsume is proud to announce the renewal of its contract with Toei Animation for the Saint Seiya franchise. After Phenix no Ikki and Gemini no Saga, you will soon discover some new HQS by Tsume resin statues from the world created by Masami Kurumada. Tsume will also launch a set of HQS by Tsume statues with the most popular shônen saga these days, the essential manga by Eiichiro Oda: One Piece! Some more information……… in a few months! Of course any new products will be available to order at Eye on Asia as soon as they become available. The final product to join the Cheerful JAPAN! 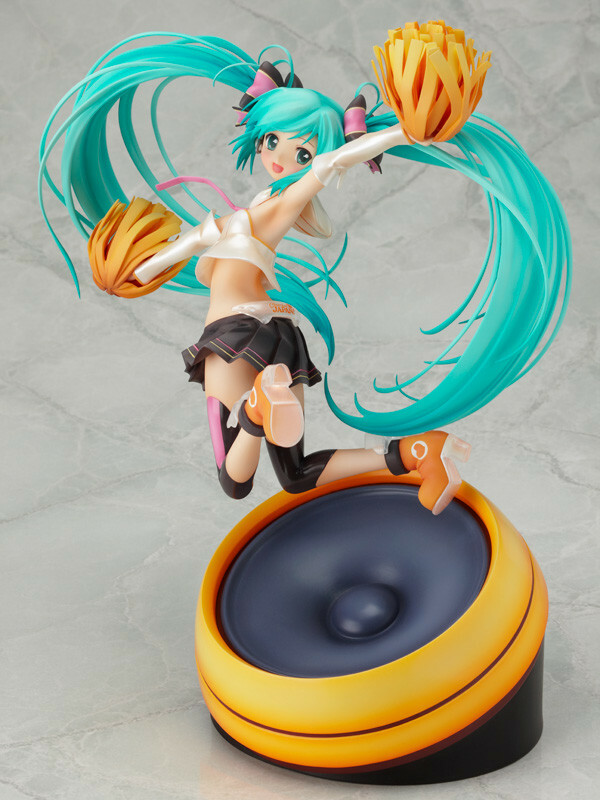 charity project is a 1/8th scale figure based on the winning illustration from the Cheerful JAPAN! feat. Miku Hatsune Cheerful Illustration Contest. The illustration was titled ‘Cheer Up! !’, and was illustrated by bun150. She is wearing a cheerful cheerleader’s outfit, and has a huge smile across her face to help spread the cheer all over the world! Katsuzo Hirata, the character designer and animation director for the ‘Angel Beats!’ anime series, made a stunning illustration of Tenshi, which is now being transformed into this 1/8th scale figure by Good Smile Company! The sculpting work is done by Usagi, a sculptor from Beijing, China. Tenshi has a delicate smile on her face, with beautiful skin that looks as smooth as silk. Her large wings have also been magnificently sculpted to complete the appearance of a true angel! Let her descend from the heavens and right into your room! From the macabre and wonderfully creative imagination of Marcus Ranum come the first statue in the Marcus Ranum Collection. Measuring 240mm tall and featuring amazingly intricate detail Dark Skies is here capturing her sense of alluring sexiness but also with a feeling of danger. From the last episode of the hit anime series ‘Puella Magi Madoka Magica’, comes a 1/8th scale figure of Ultimate Madoka – the form Madoka took once her wish was granted and she became a Puella Magi. Her long flowing hair, the deep space confined within her dress, her transparent wings and even her bow that looks like a budding flower – every part of Ultimate Madoka has been carefully sculpted to faithfully reproduce the original. The included pedestal is made to look like the magical symbols in space that formed each time she fired an arrow.